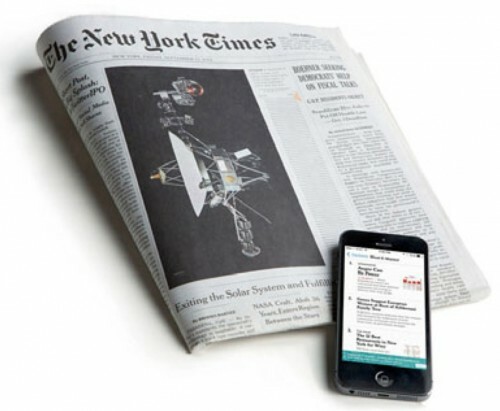 My good pal, Jonathan Menon, sent me this: The New York Times Innovation Report, 2014. It outlines how the paper might reorganize itself into a truly “digital-first” organization. The report is 100 pages and will probably take me two baths to get through. The Times admits its biggest weakness, still, has been its reluctance to shift the paper’s centre of gravity away from Page One. Their big gulp moment came when recent data showed that FlipBoard and The Huffington Post got more traffic from Times stories than the paper did. The upheaval may be endless, but the message is clear: custom build your newsrooms for digital.